On a weekday morning while her mother made breakfast, a teenage Christen Dominique sneaked into her mother’s restroom, rifled through a makeup bag and used a bit of concealer. Dominique wasn’t allowed to wear makeup, but her undereye circles had been a major source of insecurity for the seventh-grader and she’d decided to do something about it. That day at school, she felt beautiful and confident. She even felt as if people were nicer to her. That’s when her love for makeup began to flourish. “I was creating a feeling of happiness and confidence,” she said. Dominique began to explore contouring and brightening, and in no time, she was doing makeup for classmates, who lined up for her skills in the girls’ locker room. Eventually, she told her mother about her secret. Now, Dominique is a makeup artist with more than 4 million YouTube subscribers, as well as the founder of her own beauty brand, Dominique Cosmetics (sold at Sephora, Ulta Beauty and more). Entrepreneur spoke with Dominique about her start, creation process and advice for other budding YouTubers. How did you get your start on YouTube? I first created a YouTube account in 2009 just as a regular viewer. I did makeup on the side for fun while I worked as an insurance rep and went to school full-time — and juggling all of that, along with being a wife and mother, I had to make a choice and ended up letting go of my freelance makeup jobs. When I told my clients and friends, they told me I needed to start making videos so they could practice doing their makeup. That’s how it started — so I could help — and I was still able to do what I loved. In 2012 or 2013 I started posting regularly and put more attention into my videos — for example, if I did a beach look, I’d go to the beach. That’s when my account started to grow. How long does it take to create a video, and what does that entail? I’ll either see what’s trending — maybe the Explore page on Instagram — or I’ll get inspired by a look, game or painting. Even a billboard with a cool design could inspire me to create a look. Filming a video usually takes two to four hours depending on the video, and to edit it, it’s usually about the same amount of time. Recently I hired an editor, so that cuts my time in half. After that, the video is about 30 minutes long, and I can edit the rest myself and put in some moments that reflect my personality. What’s your favorite makeup look that you’ve ever done? My favorite looks are the ones that are easy to do, that anyone can do — not too much shading and a more everyday, simple glam look. Those also seem to be the most popular for everyone. Everyone wants to look like themselves, just a little more glam or enhanced. For me, makeup is about confidence and feeling good about yourself. That’s how it all started for me, and for a lot of people it’s gaining more confidence or expressing yourself. Creating clean but edgy content that’s entertaining for everyone allowed me to increase my opportunities to work with companies and attract a lot of different people to my accounts. Eventually, that led to me creating my own brand, and I recently collaborated with MAC to create a box of my favorites that’s in every Nordstrom nationwide. I was able to take this full-time in 2014 when I moved to Los Angeles and now make about seven figures in brand partnerships. What’s your advice for others who want to build a brand on the platform? When people try to start on YouTube and just want to be seen, it won’t be long-lasting. Connect with your audience and consistently post creative content. If you do something you’re passionate about and put your everything into it, it’ll grow. See below for five of Dominique’s favorite videos. 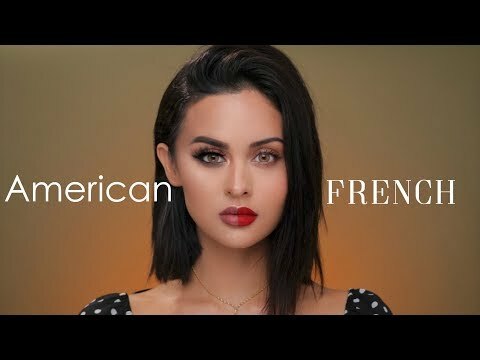 "This is one of my favorite videos and series that I’ve done because it shows the way different parts of the world view beauty and I show them side by side." "My favorite looks to create are full-coverage. I love the look of a flawless finish and that these types of looks last all day!" "This video is special to me because it takes me back from the time when I initially started my journey and career on YouTube and leads me down the path of creating my own cosmetic line." "I enjoy a fresh, natural face of makeup that enhances my natural features. The majority of my fans really enjoy these types of easy, fresh-faced looks."